« The Sixth of June. My friend Frank Towers would have turned 101 years old today. Frank passed on July 4th, 2016. Frank was born on June 13, 1917. Think about that for a minute. John F. Kennedy also came into the world, less than a month before Frank. ‘Buffalo Bill’ Cody left the world. American involvement in WWI was just getting underway, and Frank’s future 30th Infantry Division was formally activated. Gandhi was tromping around India, investigating the poor conditions of local farmers under British rule. Revolutionaries in Ireland were still licking their wounds after the doomed Easter Rising against the British the year before. The Russian Revolution was just getting started. American suffragettes that summer were arrested for picketing the White House for the right to vote for women. So into this world came Frank W. Towers. And Frank Towers came into my life after he had already lived a good, long one, in September, 2007, shortly after he turned 90. But he had more things to do before the Almighty called him home. Frank Towers by Pete Fredlake, USHMM, 2010. Frank reached out to me and we began a fruitful partnership in trying to locate more of the survivors who were on that train. He invited me, and the survivors, to the 30th Infantry Division Veterans of World War II reunions that they held annually down south. And these were powerfully moving events, to see the soldiers touched by the gestures of the survivors; and for the survivors to laugh and cry with their liberators was a gift that they, their children and grandchildren, will never forget. We also held additional reunions at our school, for the sake of making students the new witnesses to what happened during the Holocaust. 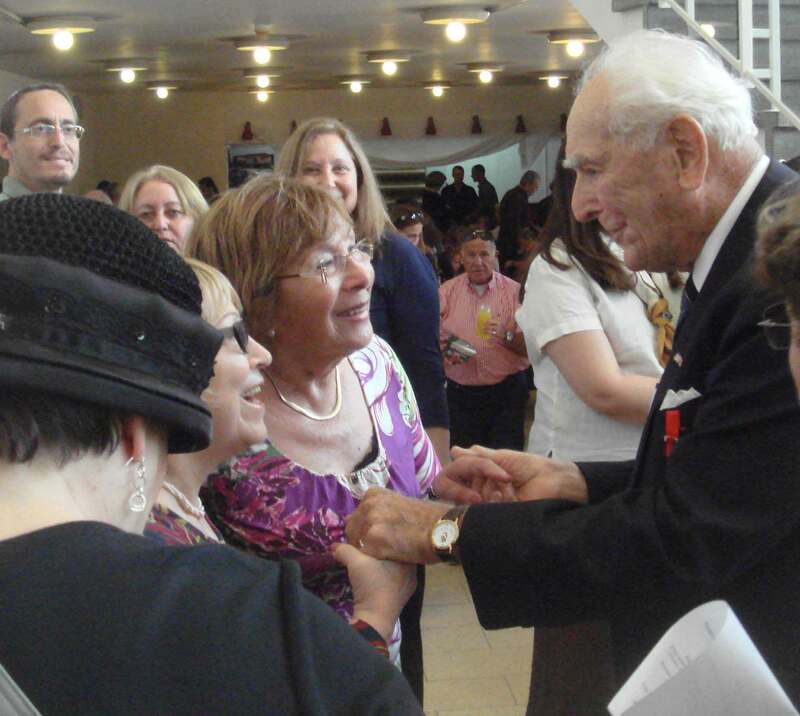 Varda W., a survivor’s daughter in Israel, even orchestrated a massive reunion of 55 survivors and their children for Frank in Rehovot, Israel when he was almost 94… talk about a rock star. I was there to see him mobbed. ‘This is D-Day,’ the BBC announced at 12 o’clock. This is the day. The invasion has begun! 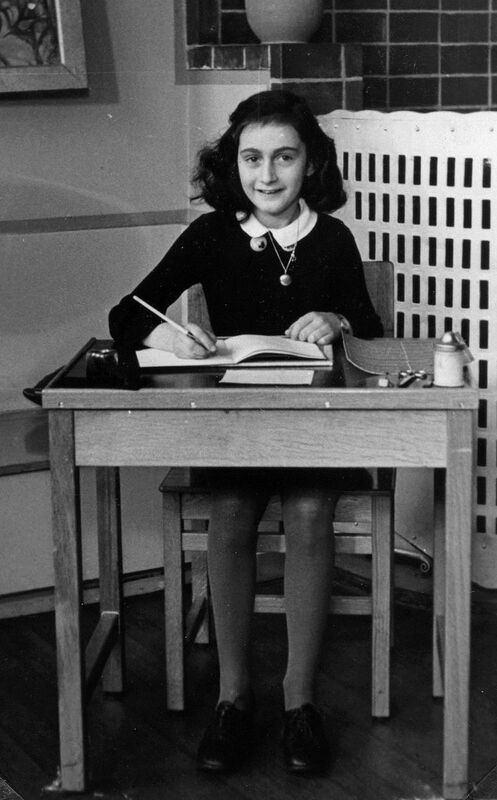 Anne Frank iat school in 1940,Amsterdam, the Netherlands). Unknown photographer; public domain. Is this really the beginning of the long-awaited liberation? The liberation we’ve all talked so much about, which still seems too good, too much of a fairy tale ever to come true?… The best part of the invasion is that I have the feeling that friends are on the way. Those terrible Germans have oppressed and threatened us for so long that the thought of friends and salvation means everything to us! The United States Holocaust Memorial Museum estimates that only 5,000 of the 107,000 Jews deported from the Netherlands between 1942 and 1944 survived. That’s less than 5%. But I close today with Frank Towers, at age 97, in the Netherlands in 2014 meeting the generations who survived because of that fateful day when the US Army investigated a curious Bergen-Belsen transport stopped by the tracks near the Elbe River. And listen to the little girl in the video. The world was too late for Anne Frank, but maybe her ideals indeed live on. There should be more people like Frank in the world. He is a unique person. It is a privilege to have met him and to be able to call him my friend. 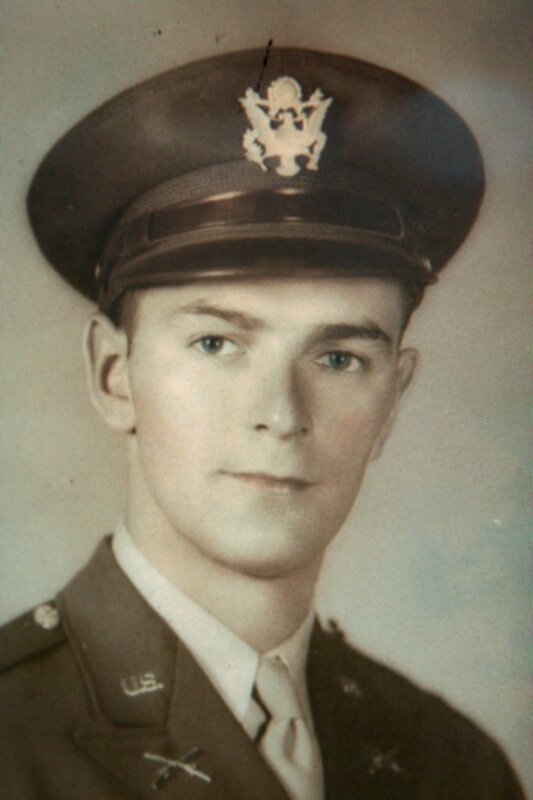 Frank didn’t only safe lives during the war, he enriched lives of many people after the war including mine. Deliberately I avoid the past simple as all the memories I have from him will never allow him to truly die.